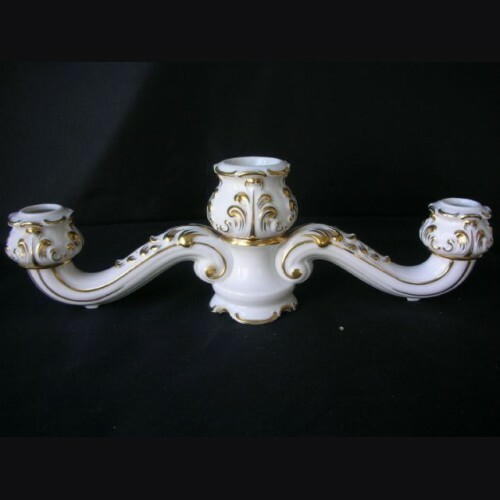 While this is not the rarest of Allach candle holders it has a lot going for it as not only is it stone mint and undamaged, but its a pre-war example with the gold gilt highlights and there is no thinning or any appearance of wear at all and it looks brand new. These are actually hard to find without damage and require careful packing as they are multi piece construction and snap relatively easily, I know this as I broke two of them myself trying to open them after having them packed by hacks. I carried this one home and know how to ship one as well. Best one I have ever seen.